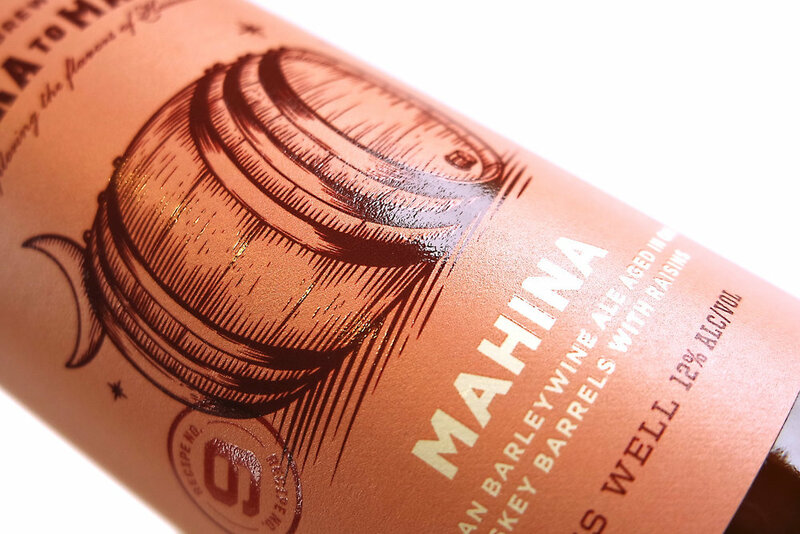 From the mountains to the sea... Mauka to Makai is LBC’s seasonal tribute to Hawaii’s rare and exotic fruits and flowers. 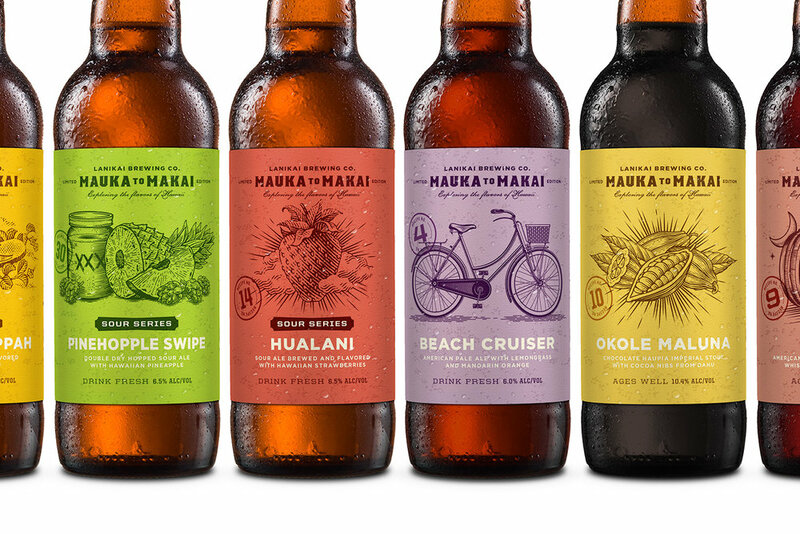 Hampton Hargreaves worked with the brewery to develop a label system that would accommodate the ever-growing series and showcase the unique story and flavors of each limited edition brew. 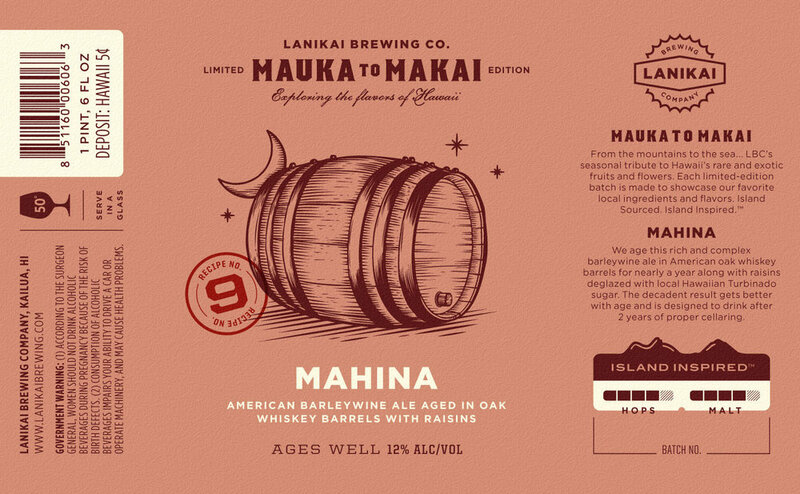 Mauka to Makai represents a new sub-brand for the brewery. In light of that, HH started by developing a unique wordmark that could position the series as a premium offering and support its higher price point. Secondary typefaces draw a familiar connection to the parent brand. 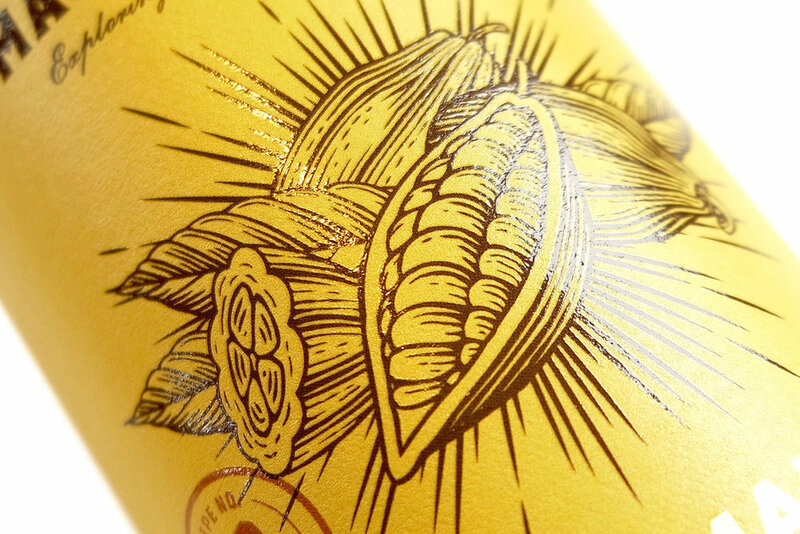 A simple, one-color woodcut illustration serves as the visual hero on each label and suggests the handcrafted nature of the beer within. 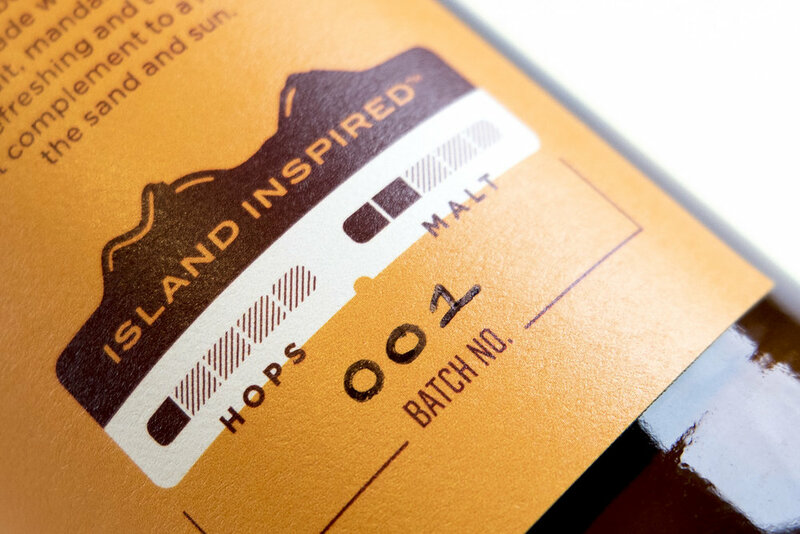 This approach gave Lanikai an efficient, yet dynamic path to generating the designs they would need to release multiple beers each year. Vivid color floods are used to capture the brewery's Island Inspired™ personality and distinguish each individual release. 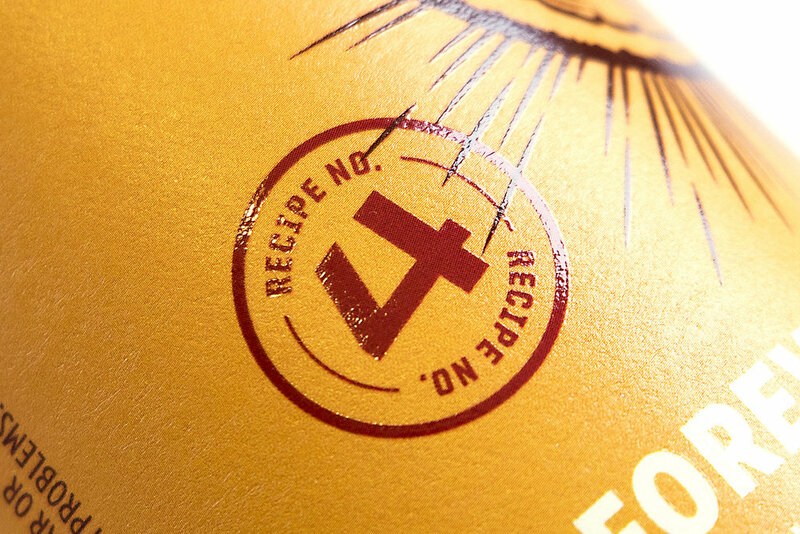 Each label also features a unique recipe number, reinforcing the experimentation and variety found throughout the constantly evolving series. Steve Haumschild — CEO & Brewmaster, Lanikai Brewing Co.